Accumulates multiple frames together to create a motion blur effect. 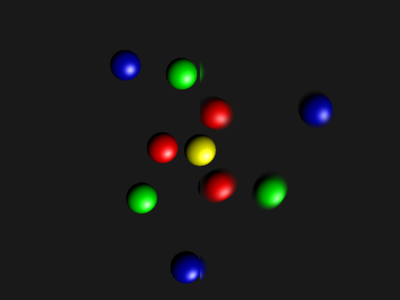 This example displays a few colored spheres moving at different speeds with motion blur interpolated from previous few frames applied to right side of the window. Full source code is linked below and also available in the magnum-examples GitHub repository.